Cheb i Sabbah, musical adventurer, global spiritualist and producer extraordinaire has returned to the Indian subcontinent for Devotion, his seventh album on Six Degrees Records. Hundreds of artists in the world music genre, or for that matter any genre, have come and gone like bottle rockets, but Cheb i Sabbah’s light keeps burning and it is his bhakti (devotion) to the spiritual essence of music, and to truth and humanity, that is responsible for his longevity. Sabbah was nominated for the BBC’s 2006 Award for World Music in the Club Global category. of Amar’s sets bridges a multi-culti span from the world to the Bay Area. Rob Mastrianni’s intricate guitar and electric sitar stylings. Enter Dulce Vita (pronounced dol-sie/vee-tah). As a DJ performer in San Francisco, the North American capital of electronic dance music, how does DV stand out? Along with a highly-acclaimed ability for solid track selection, true individuality happens here as a result of a musical risk. With the crossfader as her primary canvas and a signature brand of aggressive intent, she performs a sound all her own – an energetically urban soundscape of breakbeat, infused with audible hints of Nu Skool, Big Beat, Chunky Electro, Tech-Funk, Filtered Disco, World Beats, Dubstep, Glitch-Hop, and IDM. 2012 Announcing the lineup soon. Hey folks. Thanks for visiting the new site for The Cosmik Casbah – Tribal Fest After-party. 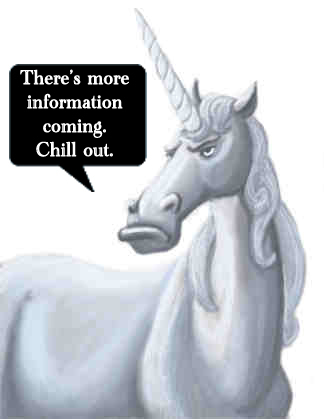 We are now in 2012, the Year of the Unicorn. We have an amazing lineup in the works to complement the Tribal Fest-ivities with Live musical acts, DJs spinning global beats for you to let loose on the dancefloor, and a select few performances by soloists and troupes that you will Only see at the After-Party. For the full run-down on this year’s show, click on the AFTERPARTY 2012 link above. To see what went down in previous years, check the Years-Past Archives with pages for each year. We are still building the site, so bear with us and visit again soon when we will have a full site for you to browse through. In the meantime, presale tickets can be purchased from the link on the AFTERPARTY 2012 page. 2012 Plans are being made……. Stay tuned for more information. Tribal Fest Afterparty 2012 is COMING!! !